More riders, less fatalities? Forbes put out a report that shows that there is strength – and safety – in numbers! In countries like the Netherlands and Denmark, people cycle an average of 864 and 513 kilometers each year – compared to the United States, where they average 47 kilometers a year. 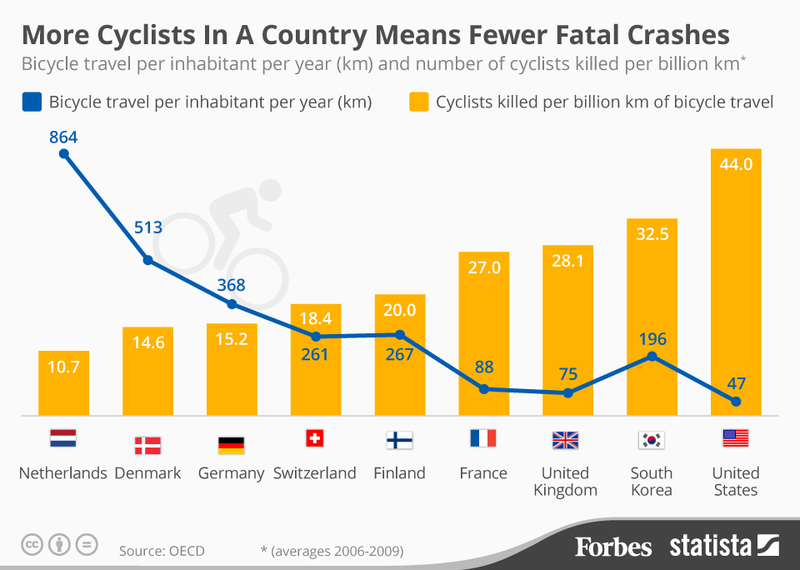 Yet the number of cyclists killed per billion km of bicycle travel is 10.7 and 14.6 in the Netherlands and Denmark, respectively, and 44 in the United States. Read more.